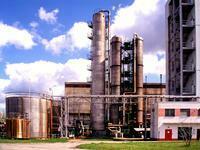 We produce basic inorganic acids – nitric acid and sulphuric acid – in various concentrations and purity. Based on these two basic acids we produce other products like oleum, mixed acids, sodium nitrate, ammonium nitrate and sodium hydrogensulphite. We offer products helpful from laboratory requirements to bulk manufacturing according to the customer’s requirements.